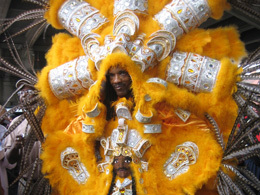 Mardi Gras: Where to Shake Your Ya Ya’s in L.A.
Mardi Gras Big Chiefs, First Queens, Spy Boys, and Wild Men (and Women) looking for the best spots outside New Orleans to tear it up Tchoupitoulas Street style, rest easy now. Whether or not you’re giving up good times for Lent — and Ms. Go Go knows the odds on that, you lush lifers — the City of Angels has Fat Tuesday fetes for every persuasion. Read on for revelry and other reasons to repent. We gonna have a good time, time, time. 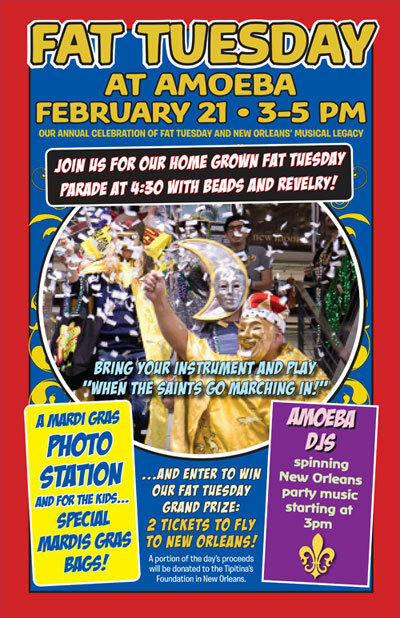 Amoeba Musicin Hollywood knows it ain’t Mardi Gras without beads and a parade. The good times start to roll at 3:00 p.m. with Big Easy party music, a photo station, and kid-friendly grab bags for Mardi Gras mini-me’s. Make sure to get there by 4:30 p.m. when everyone is urged to bring their joy noise instruments to play When the Saints Go Marching In while high-steppin’ it at the parade. Big Daddies and Sweet Mamas will want to stock up on shake-your-tail-feather tunes — part of Amoeba’s Fat Tuesday proceeds help preserve Louisiana music and culture via the Tipitina Foundation — and enter the raffle to win two plane tickets to New Orleans. 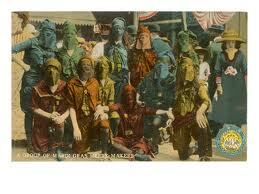 As if you needed a reason to “research” Mardi Gras 2013. Me got fire, can’t put it out. Heap fire water gonna make me shout. 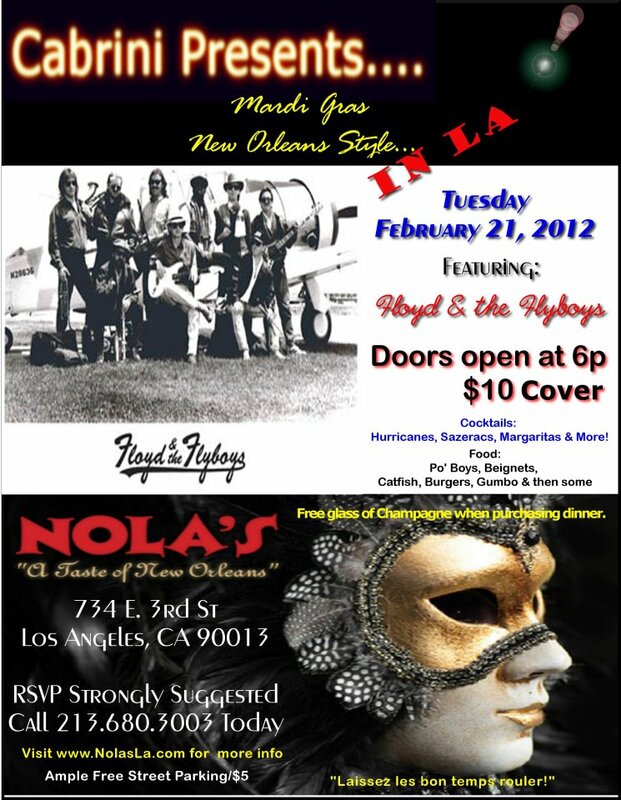 Quench your Fat Tuesday flame with Floyd and the Flyboys at NOLA’s: A Taste of New Orleans. “Mastermind behind Creation” Cabrini Schnyder serves up her Crescent City hometown’s signature hooch — Hurricanes, Sazeracs, and more — and festive fare such as Po’Boys, Catfish, Gumbo, and Beignets in a gorgeous setting that’ll make you feel like King or Queen of your Krewe. There’s a $10 cover, a free glass of champagne when you buy dinner, and Miz Cabrini strongly advises you to reserve your party table. ‘Cause cher, that Mardi Gras flame burns hot, hot, hot. Five0Four promises the same level of debauchery and dedicated drinking they debuted at last year’s extravaganza. Will there be neon-colored, alcoholic sno-cones, $2 jello shots, $20 half-gallon souvenir jugs of Abita beer, a brass band, and a photo booth? The jive joint is being mum on the extreme levels of Mardi Gras madness so you’ll just have to come see for yourself. Word on the street is that Hollywood Boulevard still hasn’t recovered from Five0Four’s Mardi Gras 2011. Still incognito after last year's Five0Four blowout. Oh my. Is it lent already? I’m not ready.